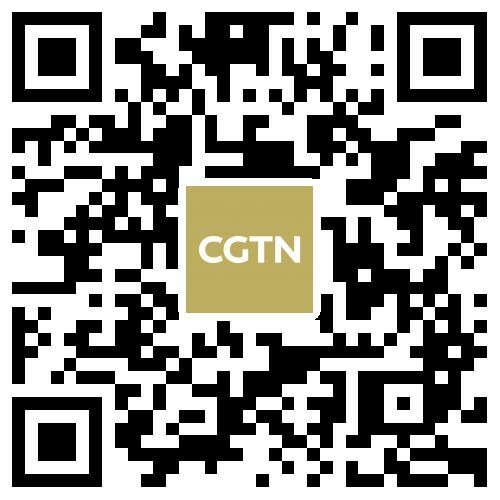 China on Monday backed a Russian proposal to make use of the Shanghai Cooperation Organization's (SCO) counter-terrorism mechanism to defuse the ongoing military standoff between India and Pakistan, while also reiterating that Beijing “will continue to play a constructive role in its own way” to help resolve the situation. Chinese Foreign Ministry Spokesperson Lu Kang refused to confirm reports in the Pakistani media that cited the Pakistani Foreign Minister Shah Mehmood Qureshi as suggesting Beijing would send a special envoy to New Delhi and Islamabad. Lu, however, repeated that China “is in close communication" with both South Asian neighbors to facilitate reconciliation and dialogue. “We hope that India and Pakistan, as two important countries in South Asia, will enjoy good neighborliness and friendship and resolve their issues through friendly consultations. In order to alleviate recent tensions between India and Pakistan, China is in close communication with both to facilitate reconciliation and dialogue,” Lu told reporters in Beijing. “China will continue to play a constructive role in its own way in whatever that will help ease the situation and promote regional peace and stability,” he added. On the question of the possible involvement of the SCO in cooling off the friction between the nuclear-armed South Asian rivals, both of which became the full members of the Eurasian inter-governmental organization in 2017, as proposed by Russian Foreign Minister Sergei Lavrov, Lu said Beijing would back “all constructive efforts towards easing tensions”. “I have seen relevant reports that the Russian Foreign Minister proposed to do something under the SCO mechanism. 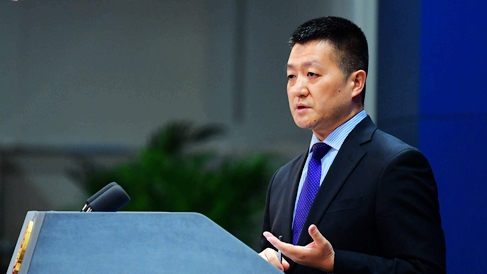 Our principled position is that we encourage all constructive efforts towards easing tensions and promoting peace and stability in the region by relevant parties of the international community,” the Chinese foreign ministry spokesperson said. Russia's TASS news agency, citing a Russian Foreign Ministry statement, reported that Lavrov last week proposed involving the SCO mechanism while expressing Moscow's readiness in providing assistance for de-escalation between New Delhi and Islamabad during a telephone conversation with his Pakistani counterpart. "Russia stressed the need for all countries to observe a provision on universal counter-terrorism conventions and cooperate for their implementation," the Russian Foreign Ministry said, noting the possibility of using for these goals the SCO's mechanism of the Regional Anti-Terrorist Structure (RATS). Tensions between India and Pakistan flared up on February 14 when a suicide bomber rammed a car filled with explosives into an Indian paramilitary convoy in Indian-administered Kashmir, killing at least 40 troops. The attack was claimed by Pakistan-based militant group Jaish-e-Mohammed (JeM), a UN-designated terrorist organization. New Delhi accused Islamabad of supporting terrorists who allegedly carry out raids on Indian territory from Pakistan-based camps. In response, Islamabad rejected these accusations. The Point with Liu Xin: What’s China's stance on the India-Pakistan conflict? 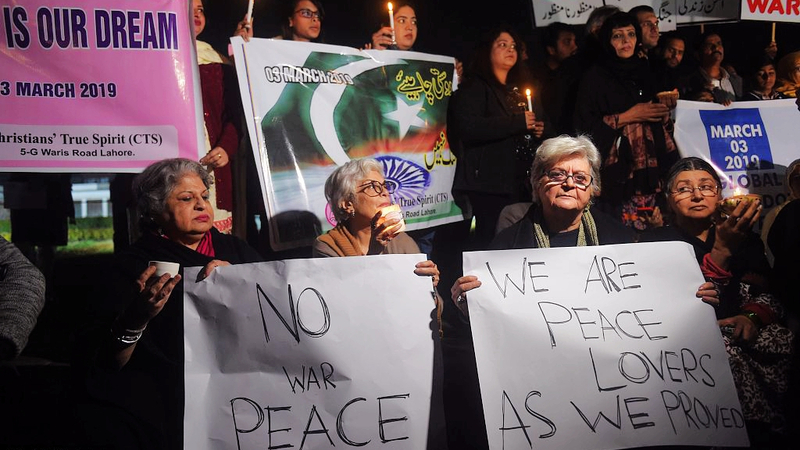 India retaliated on February 26 by carrying out an airstrike on a JeM training camp near Balakot in Pakistan's northeastern Khyber Pakhtunkhwa Province, triggering the most serious standoff between the nuclear-armed neighbors in decades. 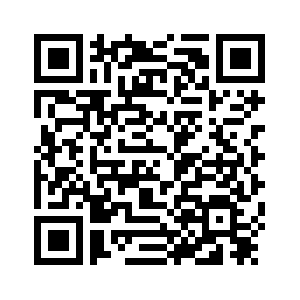 The next day Pakistani aircraft entered Indian airspace and carried out retaliatory strikes. New Delhi and Islamabad also claimed to have shot down each other's jets in the ensuing aerial dogfight, which ended in the capture of an Indian pilot by Pakistan. The pilot was returned to India last Friday in what Pakistani Prime Minister Imran Khan called a "peace gesture", easing the military tensions and soothing international alarm. Both sides have continued in firing artillery and mortars over their de facto border in Kashmir, the Line of Control (LoC), killing several civilians on both sides. This continued on Monday, both countries said, but no new casualties were reported. India's air force shot down on Monday a Pakistani military drone that strayed over its border, AFP reported citing Indian media reports. An Indian Sukhoi-30 fighter downed the unmanned aerial vehicle (UAV) with an air-to-air missile near Bikaner in the northern Indian state of Rajasthan not far from the Pakistani border, the reports citing unnamed sources said. 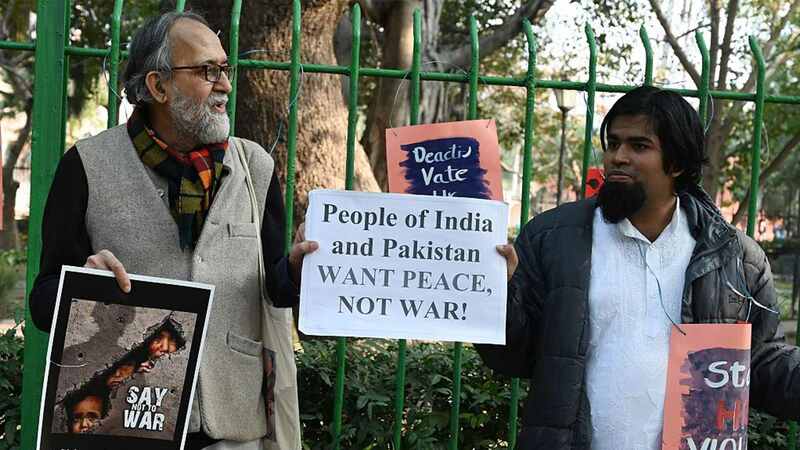 Citizens on both sides of the border have called for peace and held demonstrations in several cities of India and Pakistan.